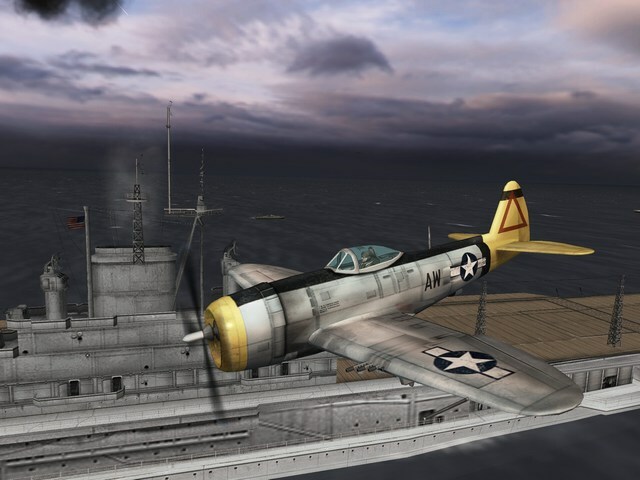 Heroes of the Pacific is the latest World War II arcade flight sim to cruise onto the PlayStation that transforms players in Lt. Crowe, a US pilot who has been stationed at Pearl Harbour whose family has a history of military service. Based on the USS Arizona, your world soon turns upside down when the Japanese attack Pearl Harbour and you're finally called to earn your stripes. Although the storyline may sound like a clichéd Hollywood classic, it actually suits the genre perfectly for this light-entertainment arcade flight sim that features a variety of different gameplay modes. Unlike stock standard arcade flight sims, Heroes of the Pacific also contains some squad based mechanic such as your four wingman which you can give basic orders to. Commands such attack and defend are used to ensure your battle victories, however it should also be noted that your wingman are not exactly the deadliest of pilots, so if you sit on your laurels too long, you'll soon find yourself starting again. 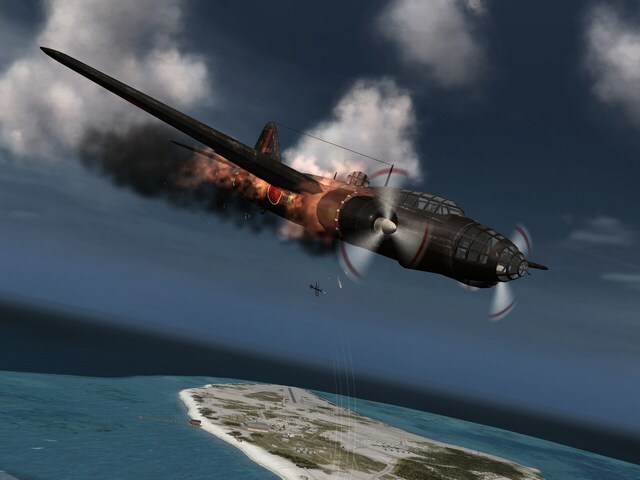 Heroes of the Pacific has a variety of different missions that include prison protects, escorts and of course deadly dogfights that is all what this World War II game is all about. As you progress through the game, you're rewarded with better weaponry and planes which is achieved by earning points in the missions. Once you have accumulated enough points, you can then begin to upgrade your plane but unfortunately the deadly bombers of WWII are not upgradeable. As this game is more arcade than flight simulator, every now and then the game will test your prowess as a pilot and you must engage in certain dogfights with bosses which actually increases the difficulty of this title, provided you are the average gamer. With that said, the control system of Heroes of the Pacific is easy to master and it should take the average game around fifteen minutes to master the control system of this entertaining title. 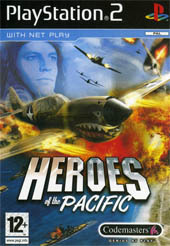 Graphically, Heroes of the Pacific is a rather impressive looking game on the PS2 and contains some gorgeous looking plane models with extraordinary texture details and also a variety of special effects such as reflective surfaces, Hollywood style explosions and some of the nicest lighting effects seen in a long time. The only downside to the game is that it sometimes suffers from poor framerates, depending on how many objects there are on screen at once. The musical score of Heroes of the Pacific features that 1940's majestic feel to it that really immerses you into the world of WWII and match that with some quality voice acting and you have one great sounding game. The game also features a plethora of plane sound effects from explosions, engines and the deadly firepower that these beasts of the sky carry. In conclusion, Heroes of the Pacific is a breath of fresh air on the PlayStation 2 and features some great gameplay, impressive graphics and a very Hollywood sounding soundtrack. The only downside to the PlayStation 2 version is the poor frame rate that may annoy some gamers.